In 1918 he shocked bettors by winning the Kentucky Derby at odds of 30-to-1, the longest shot on the board. 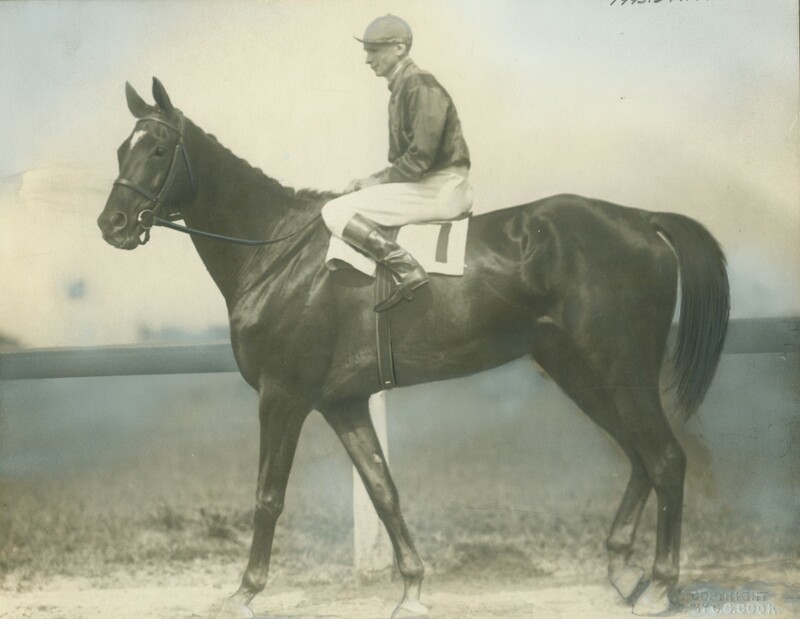 The Derby was one of Exterminator’s record 34 stakes victories during an eight-year career that began in Kentucky and Windsor, Ont., and ended in 1924 in Montreal. In his 99th career start the 9-year old gelding pulled up lame. He left a legacy that would never be forgotten, winning 20 times while carrying 130 pounds or more. As he aged he became one of racing’s most popular warriors. At five he set two world records, winning the 1 ¾ mile Saratoga Cup and the two-mile Autumn Gold Cup at Belmont. He was champion older male in 1920, ’21 and ’22. Foaled in 1915 at Almahurst Farm, Ky., Exterminator sold for $1,500 at Saratoga’s yearling sale. By age two he was nearly 17 hands; awkward and coarse looking, prompting owner J.C. Milam to geld him and sell him for $9,000 to Willis Sharpe Kilmer, who was looking for a workhorse to tune up Sun Briar, his 2-year-old champion and Derby favorite. Sun Briar didn’t train well and Kilmer, under the urging of Churchill Downs president Col. Matt Winn, reluctantly entered the horse he called “the truck horse” or “the goat” for the Derby. In 1924 the gallant old warrior limped off the track after finishing third at Dorval. Two weeks earlier he notched his 50th and final victory at Blue Bonnets. During his career Exterminator made four starts at Woodbine, winning the Autumn Cup three years in a row while toting between 132 and 137 pounds. He was assigned 134 pounds in the 2 ¼ mile Ontario Jockey Club Cup, which he won handily over a muddy track. “Old Bones” campaigned 13 times in Canada. He died at age 30 and was buried next to his old stable mate Sun Briar. In 1957 he was inducted into Saratoga’s Hall of Fame.